Sophia 98 is a low density apartment with only 16 exclusive units. 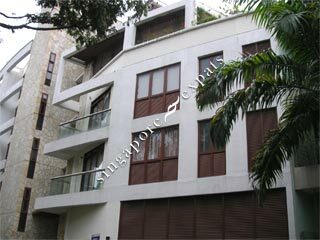 It is located at Sophia Road near Mount Sophia, Wilkie Road, Selegie Road. The Dhoby Ghaut MRT station is only a couple of minutes away. As Sophia 98 is just a stone throw away from the Plaza Singapura at Orchard Road, Peace Centre, Park Lane, Paradiz Centre, amenities such as supermarkets, food centres and shop are within a short walk away. Sophia 98 is accessible via the Central Expressway (CTE) as well as East Coast Parkway (ECP). It is about 20 minutes drive away from the Airport.